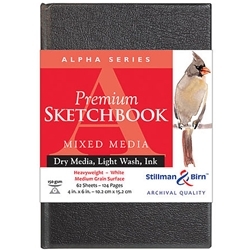 These hard-cover sketch books feature high performance paper that is pH neutral, lignin- and chloride-free. The heavy-weight 100 lb. (150gsm) paper has a toothy, medium grain white surface, and is suitable for all dry media and ink. With both internal and surface sizing, it will accept light washes as well. 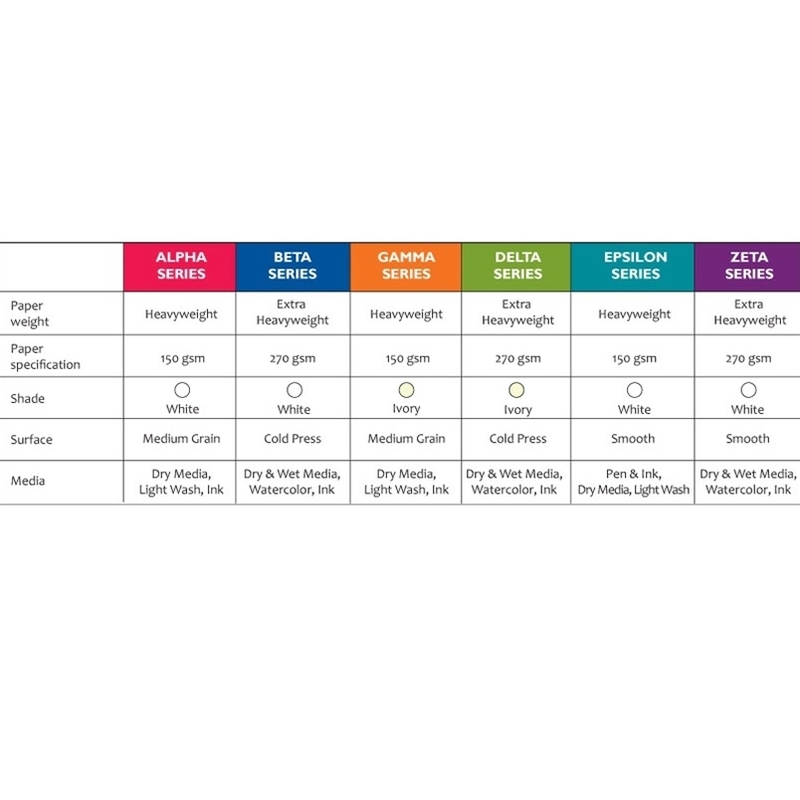 The covers are made with extra heavy-weight binders' board that is tough and resistant to warpage. The hard-bound books contain 62 sheets and the wire-bound books contain 50 sheets. Bound in the USA.